The product design and manufacturing engineering professionals at Jasper Rubber Products, Inc., consider each customer’s project an opportunity to provide excellence. Whether your project requires custom compounding of rubber material, thermoplastic elastomers, or other plastic materials, whether you have existing product or component specs or require development for molds, our engineering professionals focus on production of the exact results you expect. The product engineers at Jasper Rubber Products work with your specs and drawings or create new engineering standards to produce the exact product or component you require and to assure that it will meet your most demanding performance standards for durability, flexibility, weather resistance, and temperature and chemical tolerance. 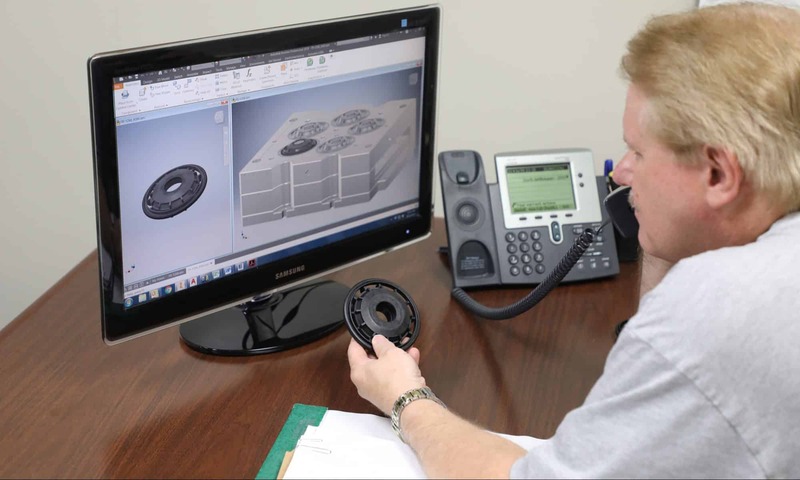 From custom compounding rubber or thermoplastic to molding or extruding and product finishing and packaging, our engineering know-how results in consistent outcomes and customer satisfaction. At Jasper Rubber Products, Inc., our in-house manufacturing engineering means your project drives our processes and equipment to produce the most accurate, high quality, and consistent results possible. Our customized dies and machining are engineered to meet precise specs and exacting tolerances for your proprietary application.